Amazon founder Jeff Bezos wrote an open letter accusing the National Enquirer of a politically motivated blackmail attempt Thursday. Bezos wrote in a letter to American Media, the Enquirer’s parent company, and its head David Pecker on Medium. Bezos wrote that he company tried to blackmail and extort him by threatening to expose his affair with former news anchor Lauren Sanchez and said it had explicit photos of him. The company threatened to publish the photos unless he put out a statement saying his investigator looking into the stolen texts has “no knowledge or basis for suggesting that AMI's coverage was politically motivated or influenced by political forces." 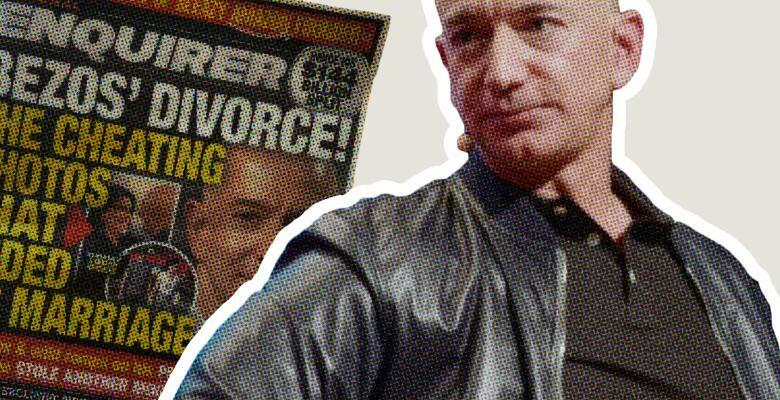 Bezos alleged that Pecker, an ally of President Donald Trump who helped kill multiple stories about his alleged affairs during the 2016 campaign, was behind the politically motivated hit job. Bezos also hinted at a potential Saudi Arabian connection to the investigation his security chief launched. "Several days ago, an AMI leader advised us that Mr. Pecker is 'apoplectic' about our investigation. For reasons still to be better understood, the Saudi angle seems to hit a particularly sensitive nerve,” Bezos wrote. Washington Post reporter Manuel Roig-Franzia told MSNBC that Bezos security chief Gavin De Becker believes the government may be involved in the plot. Reporter Ronan Farrow wrote that he and at least one other journalist were threatened with blackmail for covering Trump’s business dealings with the National Enquirer.